Stradbroke took the first steps towards running the library locally and taking responsibility for the Court House building after a somewhat reluctant Parish Council agreed to press ahead to the next stage of negotiations with Suffolk County Council. This follows a meeting before Christmas with representatives of the County Council. 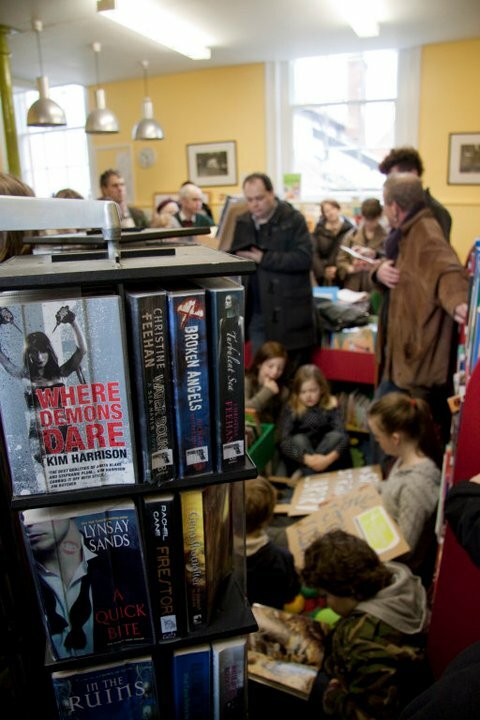 Councillors are perhaps understandably a bit reluctant following the collapse of an earlier deal with the County Council a year ago when they agreed to let the Parish Council take over the library and Court House for £1000 a year only to renege on this with the launch in January 2011 of the now infamous library consultation. A year later and this issue is still going on after literally hundreds of hours of work by both the County Council and local volunteers. Whilst there remains strong support for the library councilors are reluctant to take responsibility for the Court House building fearing it could turn into a money pit for the parish. However Suffolk County Council are offering money towards the running costs of the building and following discussion the parish council agreed to move forward on the basis that this money was forthcoming and assurances could be obtained for the future. A draft lease with break clauses was also tabled and the Parish Council plan to set up an independent charitable company to take on the Court House which will further reduce the risk to the Council. A group of four councillors, myself, Maureen John who manages the Library, Mike Readman the Vice-Chairman and Ann Kerr the Chairman have formed a working party to progress the plans. The working party is now looking for members outside of the Parish Council and will continue to negotiate with the County Council and take a detailed plan back to the Parish Council for approval. The idea is that the space would be used for educational and cultural activities such as book clubs, book readings, homework clubs etc It is hoped to work closely with both the village schools and to offer work experience for younger people in the village in the library, radio station and café. Not everyone thinks this is a great idea but at least there is now an opportunity to at least try this. Personally I believe it can succeed and that it will further add to the exceptional facilities that Stradbroke already enjoys. I attended a meeting at the weekend about the history of the Community Centre in Stradbroke presented by my fellow Parish Councillor Gerald Jenkins which was fascinating. It showed that despite a battle against the odds the village came together over many years to ensure that we have the exceptional facilities that comprise a large community centre, sports pavilion, swimming pool, doctor’s surgery and now even a state of the art gym. I believe we can do the same thing with the library and courthouse building. All that is needed is the same determination and hard work and a belief that we will succeed!